The toffee-like, highly potent marijuana derivative was introduced to police in Newfoundland and Labrador in a big way last week, when a month-long drug investigation yielded kilograms of shatter. Cocaine, marijuana, MDMA and shatter were discovered during five seizures in St. John's, including police searches of vehicles, businesses and a storage unit. The operation resulted in two arrests. So far, only one man — Arlen Hodge — has been charged with trafficking the assortment of drugs. 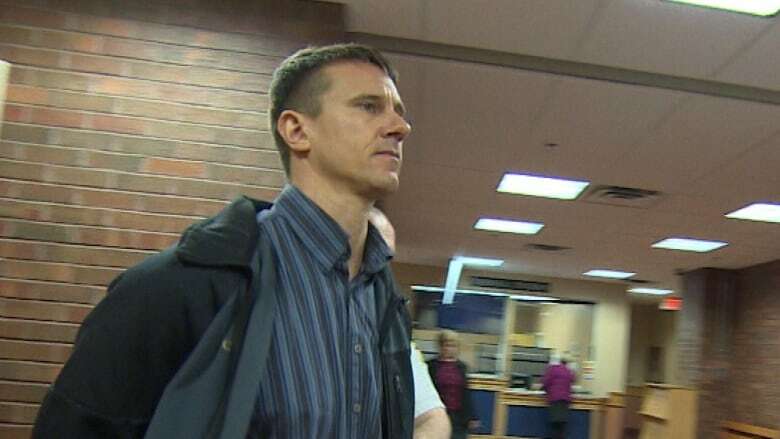 Hodge has a bail hearing slated to Thursday and Friday at provincial court in St. John's. For officers with the Combined Forces Special Enforcement Unit, it was the first time they've seen that much of the drug in the province. Here are five things to know about the drug that police call shatter. Shatter is a concentration of tetrahydrocannabinol, or THC, which is the ingredient in marijuana that produces a high. Const. Dave Emberley with the CFSEU-NL said shatter is far more potent than marijuana and hash. For example, marijuana has a THC level of between 12 and 15 per cent, while hashish has a concentration of approximately 20 per cent. Shatter, on the other hand, has a 80 to 90 per cent THC level. Emberley cautions that using the drug as you would marijuana may not end well. "You could find yourself in a temporary psychosis," he said. When processed, shatter looks like a big sheet of toffee — hence its name. It's a solid substance that's gold in colour. Shatter smells like hashish. It's ingested by heating the substance and then inhaling the smoke. 3. It's new for N.L. Besides one small seizure on street-level, Emberley said the shatter seized in the operation known as Project Titan is a first for the province. Most officers, Emberley suspects, wouldn't know what the drug was if they came across it. Not only is it new in this province, it's still relatively rare across the country, he said. In March, the Ontario Provincial Police said it was aware of the drug on the streets. A month later, police seized a quantity of the amber drug in Sudbury. On the street, Emberley said shatter will go for between $80 and $100 per gram, which is on par with cocaine and MDMA. Do the math, and Wednesday's seizure of two kilograms of shatter is worth between $160,000 and $200,000. In mid-April, the New Brunswick Association of Fire Prevention Officers said it responded to two explosions in the city as a result of the process involved in making shatter.